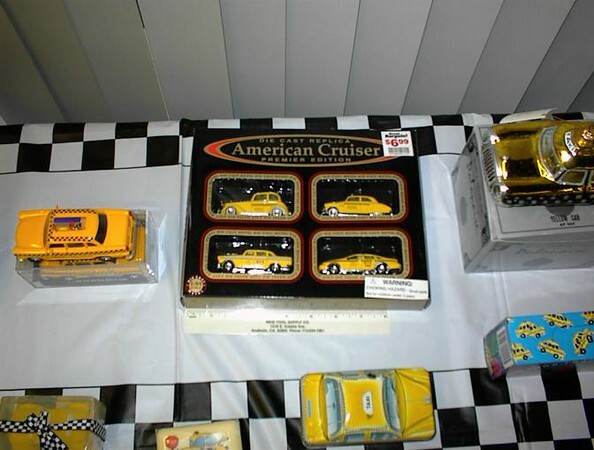 My Checker and Taxi Collection started in the early 1980s. Many of them I've bought myself, some were presents from my husband, and others given to me by friends. There are a few more, but these are the ones I had at the Annual Checker Show in July 2000. Eventually, I'll add more pictures, and add identification. There is an 8 inch ruler in many of the pictures, to give an idea of their size.